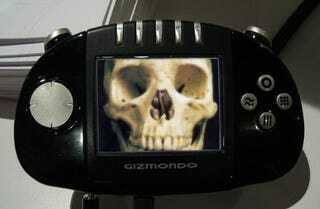 Not only is Gizmondo coming back, Carl Freer says you can expect to see a new version of the handheld console by the end of the year—this time without the whole defrauding investors and crashing Ferraris schtick, supposedly. In an interview in the Gizmondo forums, Freer claimed that, "There is still incredible value in the Gizmondo. And with the enhancements we're adding... we feel it's only the beginning of where we can go with the product." Gizmondo version 2.0 will include a new graphics chip, Windows CE 6.0 (which comes with "a lot of 'new' goodies," Freer says), and a bunch of original content to be downloaded off the gizmondo.com website. It'll be ready by Winter 2008, and the developer community can expect more announcements soon.